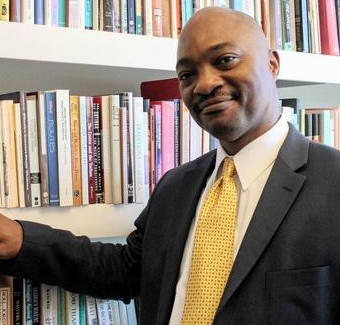 Emmanuel Akyeampong is professor of History, African and African American Studies, and the Oppenheimer Faculty Director of the Harvard University Center for African Studies at Harvard University. His publications include Themes in West Africa’s History (2005), which he edited; Between the Sea and the Lagoon: An Eco-Social History of the Anlo of Southeastern Ghana, 1850 to Recent Times (2001); and Drink, Power and Cultural Change: A Social History of Alcohol in Ghana, c. 1800 to Present Times (1996). 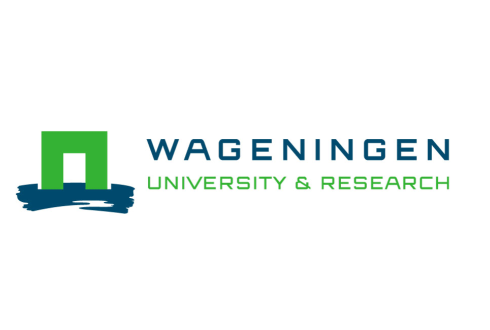 Michiel de Haas (Wageningen University) talked with Emmanuel about his latest research, and his views on African economic history, African academia and contemporary development. Professor Akyeampong, first of all, thank you for delivering a rich and thought-provoking keynote lecture on ‘African Socialism’ at the Annual Meeting 2017 of the AEHN last October in Stellenbosch. You mentioned that this lecture relates to a research project that will culminate in a book on early post-colonial African political thought. Could you reveal to us some of the issues you will discuss in this forthcoming book – and perhaps some of your key findings? The book is entitled The First Generation of Independent African Leaders and the Making of the African Nation-State. 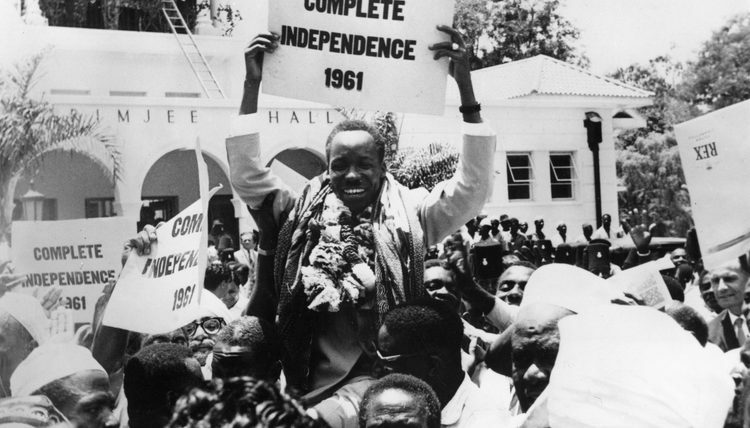 The idea for the book emerged when several African countries, at the turn of the 21st century, celebrated their 50th independence anniversaries, with citizens and observers conducting an inventory on progress made since independence. Reviews were often not complimentary, and Africans seemed to have low expectations of government and what the future held. I was struck by the paradox of the situation: in the early years of independence – when Africa had high rates of illiteracy, no indigenous middle class, poor infrastructure, mono-crop economies, etc. – there was exuberance and great expectations. Today we have graduate unemployment, technology has closed the knowledge divide, several African billionaires have made the Forbes list, and yet we are more pessimistic about the future. During your lecture, your main point was that, even though the socialist projects of Nkrumah (Ghana), Nyerere (Tanzania), and Senghor (Senegal) did not yield the desired socio-economic development outcomes, they are worth salvaging from oblivion. What lessons can current African policy makers take away from this episode in African political history? Are there contemporary implications? What is striking about that first generation of independent African leaders was the boldness of their visions and development plans. Key goals included infrastructural development, diversifying economies dependent on one or two primary commodities, and developing the human capital of their countries through mass education at the primary level and expansion of secondary and tertiary education. For several of these leaders, “African Socialism” was primarily about self-reliance. Today international expectations and strictures have come to limit what is possible for African governments. An important contributor to this has been the fact that African visions of development have often been dependent on donor money. Now that there is donor weariness, and African governments have turned to mobilize domestic resources (which demands transparency and accountability), work in innovative partnerships with the private sector, and pursue intra-Africa trade, it may be time to think boldly again. What is striking about that first generation of independent African leaders was the boldness of their visions and development plans. Many African countries are more highly educated, peaceful and healthy than they have ever been before, but they also face unprecedented challenges of population growth, unemployment, inequality, and resource scarcity. Scholars have pointed to the importance of ‘good institutions’ to achieve sustained welfare improvement. Would you consider yourself a pessimist or optimist in this regard? My answers above speak to a changing tide in Africa. The number of dictatorships and military regimes in Africa have declined considerably. In countries like Burkina Faso and the Gambia we have seen regimes recently removed through campaigns orchestrated by young people using social media. The drive towards regional markets is pushing conformance in regulations that promotes good governance. African governments, in short, are becoming accountable to more than their own citizens. Unemployment and inequality in Africa have been fueled by the existence of enclave economies based on minerals and oil. Africans are not land poor. By different estimates Africa possesses 40 to 60 percent of the world’s unfarmed arable land. Modernizing agriculture involves the use of fertilizer, improved seeds, irrigation, and mechanization. We have a huge problem with unemployed, often educated, youth. Agriculture and agribusiness should be a central plank in Africa’s developmental agenda and its efforts to address youth unemployment. We should turn our youth bulge into a dividend. I am clearly optimistic about Africa’s future. Your publication record reveals a broad interest in topics in the social and political history of West Africa. You are also one among a select group of historians who have shown a keen interest in the work of economic historians: you have published in Economic History of Developing Regions, co-edited the volume Africa’s Development in Historical Perspective and delivered the keynote lecture at this year’s Annual Meeting of the AEHN. How did your interest in African economic history develop, and how, in your view, can this ‘dialogue of disciplines’ be further promoted? It is the rare African academic who is not concerned about Africa’s developmental challenges. These challenges require inter-disciplinary approaches. African history developed as an interdisciplinary field with strong contributions from anthropology, archaeology, linguistics, etc. In North America, historians of Africa are a minority in history departments. We are compelled to read the works of our colleagues to be part of the intellectual conversation in our departments, though they do not see the need to read on Africa. The result is that we have this breadth in terms of fields and we are inter-disciplinary. For non-academic Africans, a university professor is a public intellectual who should assist in the developmental effort through knowledge. This combination of my own research interests and expectations from Ghanaians and other Africans that I should have something to say about political economy has deepened my interest in economic history. I joke that I am “economist” who does not run regressions. But it takes me to an earlier understanding of economics that was closer to philosophy, occupied with issues such as inequality and the quality of life. My own research interests and expectations from Ghanaians and other Africans that I should have something to say about political economy has deepened my interest in economic history. Every year, new graduate students are drawn to African economic history. If it was up to you, which new directions of research would you suggest to them? New paradigms in academic research are springing from the global South, as my colleagues Jean and John Comaroff have argued in a recent book, Theory from the South. This is particularly so in terms of capitalism’s dynamism: understanding the informal economy, larger than the formal economy in most African countries; the place and role of black markets; the growing importance of intra-African trade and the increasing pattern of cross-border investments; business history in emerging markets, especially the growing number of African multinational companies; these are all areas of enormous importance in economic history. Recently, there has been much talk about ‘decolonising the curriculum’ in British and American universities. How might economic history as a discipline contribute to this overall process? World history has often been simply the history of the West and the rest of the world and the expansion of capitalism through trade and imperialism. In such studies normative values and the approach are Western. We have seen recent works in economic history that take a global history approach and seek to de-center the West. Economic actors multiply, markets proliferate, and trade become multi-directional. Examples include Sven Beckert’s Empire of Cotton: A Global History (2014); and the history dissertation of Jody Benjamin, The Texture of Change: Clothing, Commerce, and History in Western Africa, 1750-1850 (Harvard University, 2016). In recent years, we have witnessed a growing commitment of scholars from American universities to the advancement of African academia. In 2014, Leonard Wantchekon (Princeton) opened the African School of Economics (ASE) in Benin, and Mahmood Mamdani (Columbia) became director of Uganda’s Makerere Institute of Social Research (MISR) in 2010. This May, Harvard University’s Center for African Studies (CAS) opened its first Africa office in Johannesburg. What has motivated the recent efforts of American scholars and universities to more actively engage in African tertiary education? What benefits do you hope these initiatives will generate for students and academics in both Africa and the United States? Clearly, I can only speak for Harvard’s Center for African Studies. Our intention is to build the greatest Center for African Studies in the world. We cannot do this divorced from Africa and African institutions of higher learning. Our research agenda and priorities must be informed by those of our African colleagues and institutions. The Harvard Africa Office in Johannesburg is to facilitate this. I have described it as our “listening post.” It enables us to be part of important conversations in Africa, listening and learning from our African partners. Over the past decade, across Africa we have seen an enormous expansion of universities. However, the growing supply of university graduates seems much higher than the actual demand for tertiary education in African labour markets. How do you think this mismatch of educational attainment and employment opportunities will shape African political and socio-economic development? You raise an important question. The demand for higher education in Africa is huge, and private universities have entered into tertiary education to meet a demand that exceeds the capacity of governments to deliver. The mismatch of skills between graduates and the labor market is driven by a number of factors. Let me touch on just a few. There has been a decline in the quality of education linked to educational reforms that were passed at the secondary level without adequate planning. A good example is the junior and senior secondary schools introduced in Ghana in the 1980s. The drop in the quality of students was evident when they entered the University of Ghana, where I have served as an external examiner. Aside from the premier, often government universities, the private universities are very specialized with a focus on vocational disciplines driven by the market. But not many have been able to deliver on this because of the absence of really qualified faculty. Many private universities depend on lecturers from the government universities who come to teach part-time. Research has suffered, both at faculty and student levels. Aside from the premier, often government universities, the private universities are very specialized with a focus on vocational disciplines driven by the market. As part of the launch of the Africa Office in Johannesburg in May 2017 we hosted a round-table of university vice chancellors and leaders with a focus on education for development. One of the concerns expressed was the challenge of training students for the market in an era of automation, when it is difficult to predict what the market would look like in ten years. Governments in partnership with the private sector would have to take a keen interest in the quality of university education, exploring the interface with market demands. Governments would have to lead in sponsoring innovation and technology hubs, incorporating them firmly into development plans. The World Bank in June 2016 counted 173 technology hubs and incubators in Africa. Only 11 were government led with another 16 by academic institutions. Whereas global technology firms are supporting coding clubs and other such initiatives in Africa, and firms like Andela have emerged that train techies for the global market, governments have yet to systematically tap into these possibilities for their growth plans.